The Scorpio Stabilised Head is a digital remote head with stabilization in all axes. 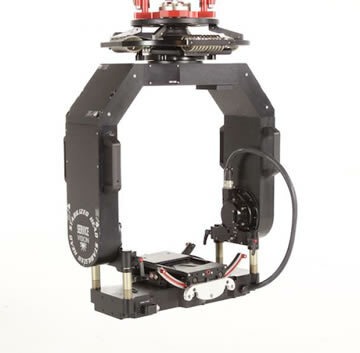 Its digital system will stabilize any film or video camera up to 100lbs. The mechanical and electronic designs make it one of the most sturdy, reliable and advanced in its category. 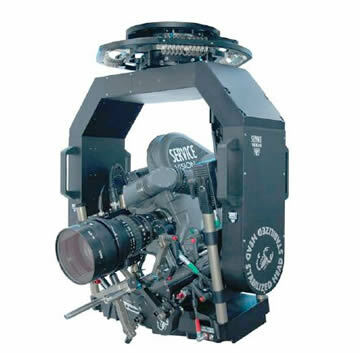 Its stabilisation is effective up to 300 mm focal length in 35 mm. It will stabilise typical zooms such as 24-275 mm or 24-290 mm. The level of stabilisation is optimal for any telescopic crane, fixed crane, dolly, camera car, or any type of platform.